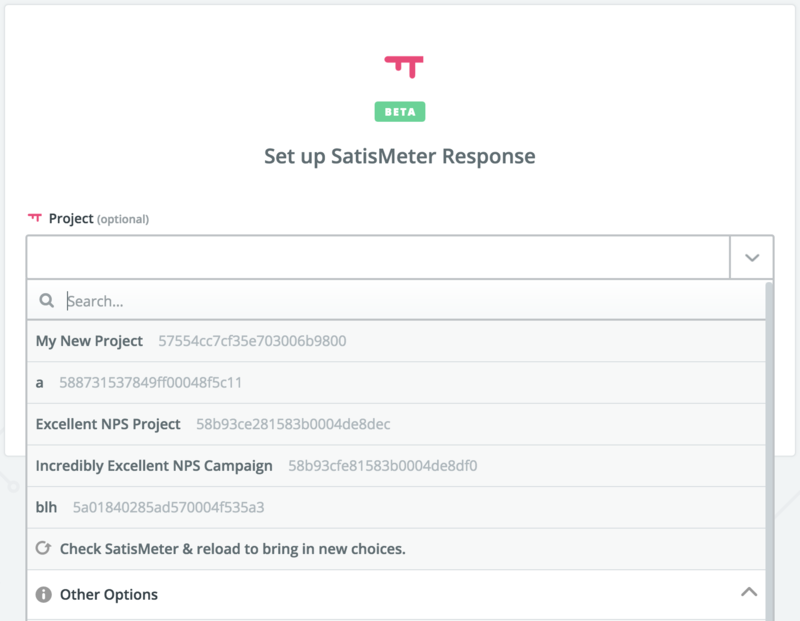 This integration allows you to create a new case in Salesforce for each piece of NPS feedback you get from SatisMeter. 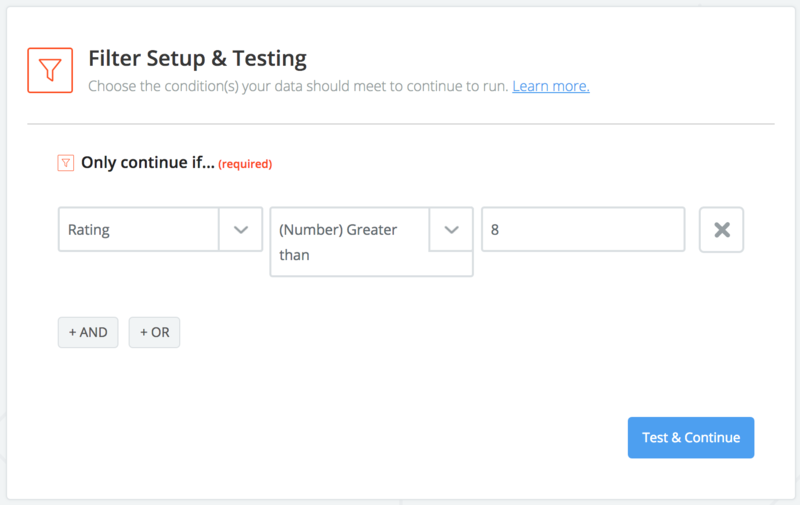 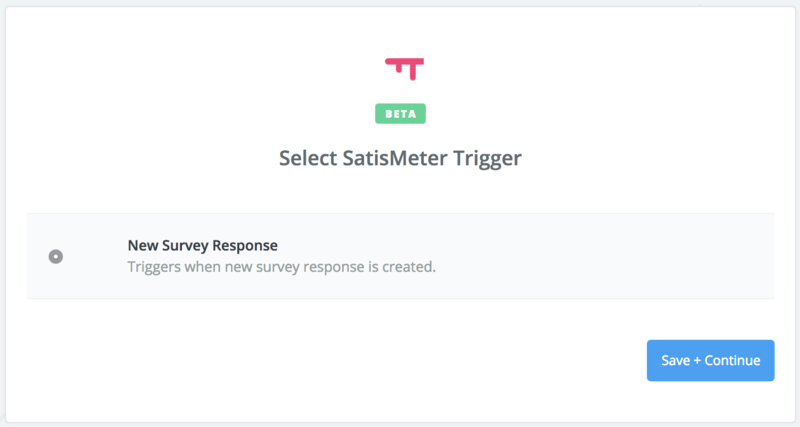 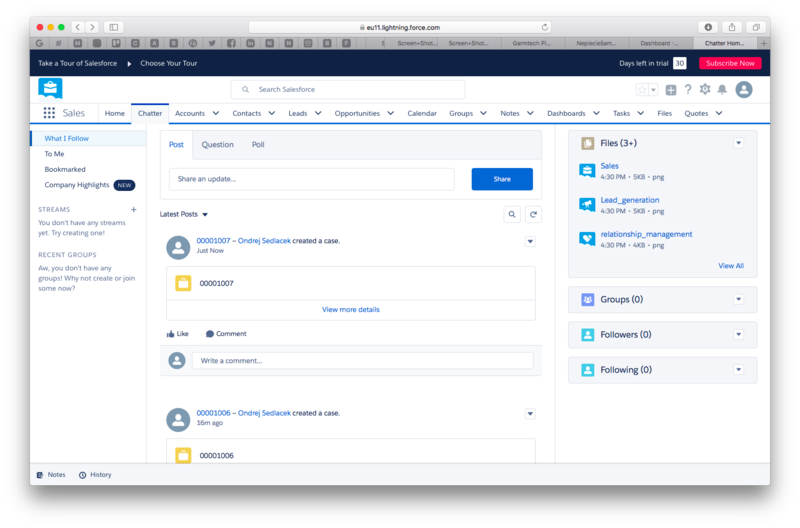 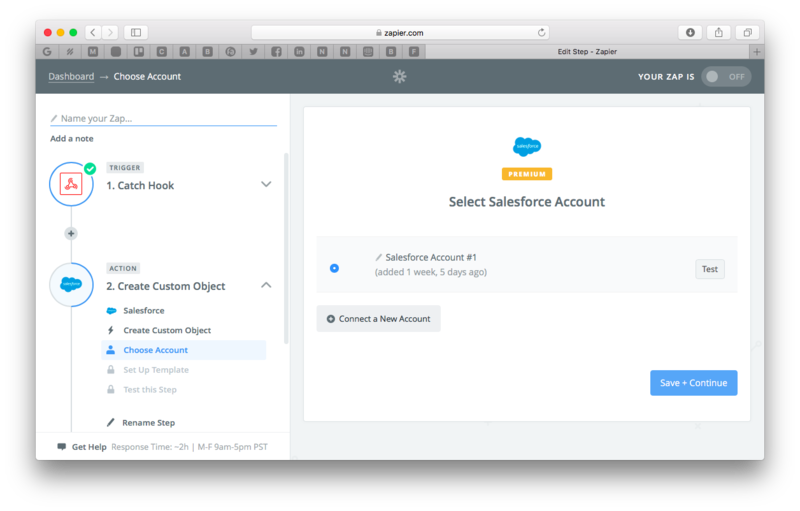 First you should set up SatisMeter in-app surveys and have a SalesForce account first. 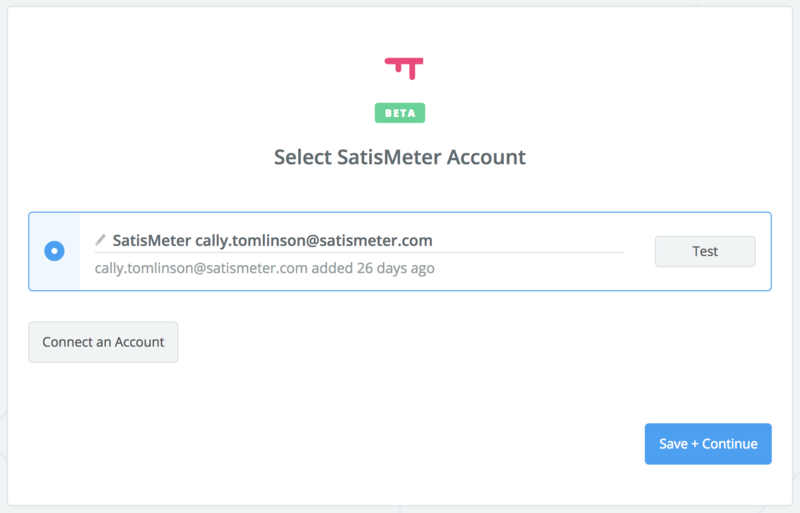 Once SatisMeter is up and running, go to https://zapier.com, and create an account. 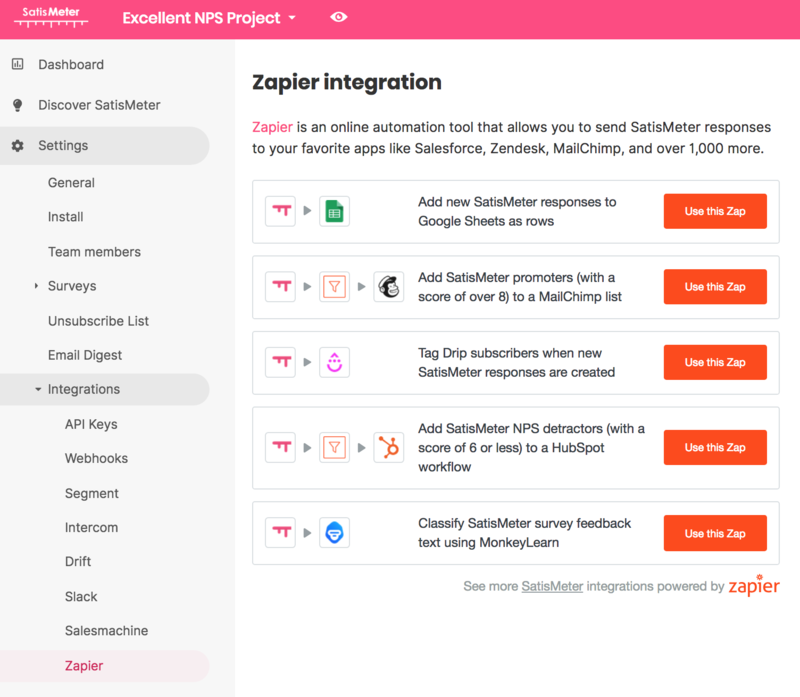 First you need to use SatisMeter on Zapier, go to our integrations settings, and select Zapier. 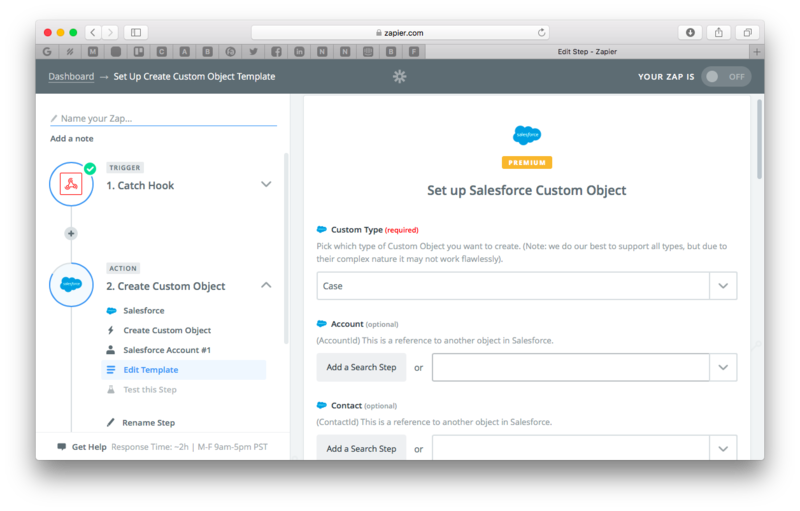 In this step you can design how your case will look in Salesforce. 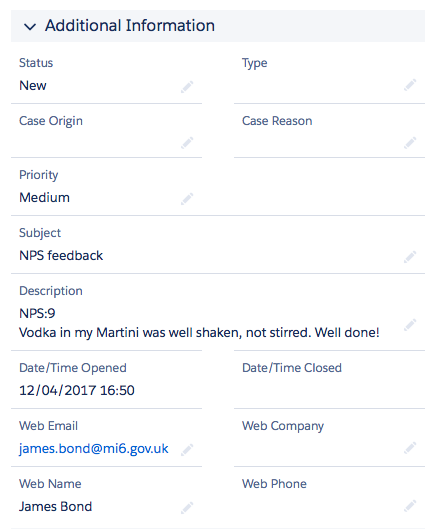 Make sure the 'Custom Type' is set to 'Case'. 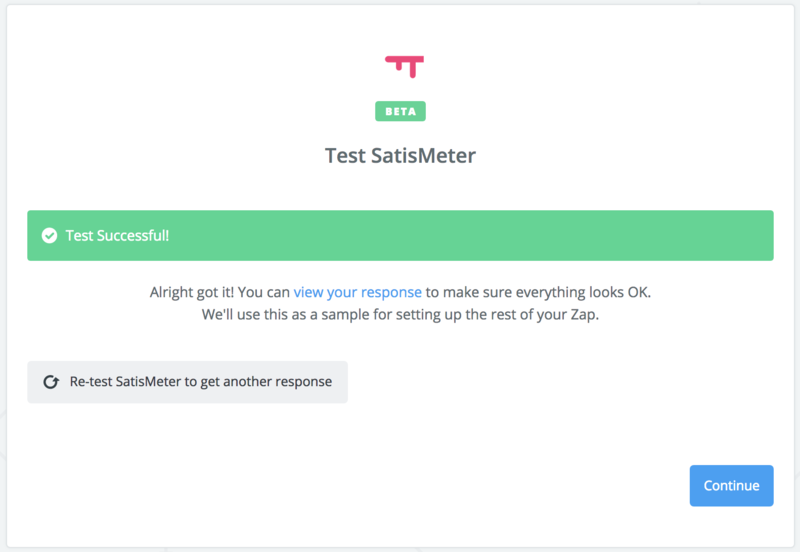 The SatisMeter trait 'Response rating' is the score a user replied, the 'Response Feedback' is the verbal feedback for this response. Now it's time to test if the integration is set up properly. 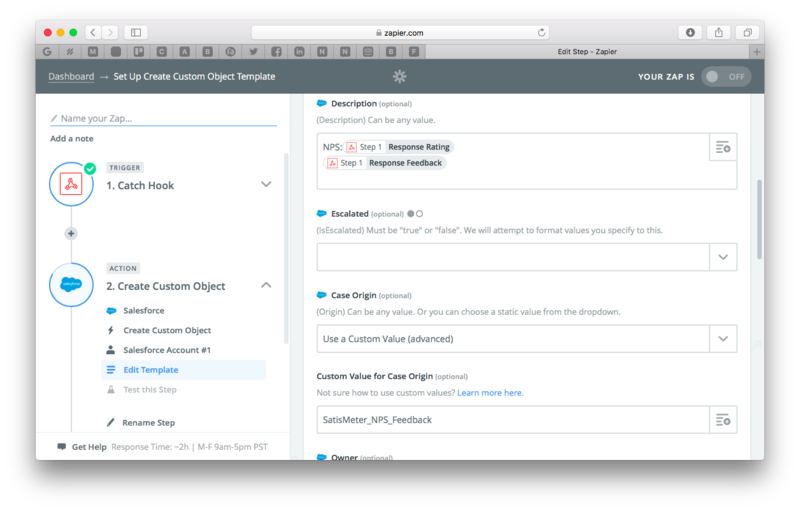 If you find you need to tweak the traits/values, just go one step back. Step 5: Turn on your Zap! Now that everything works the way it should, it is time to turn ON the Zap. 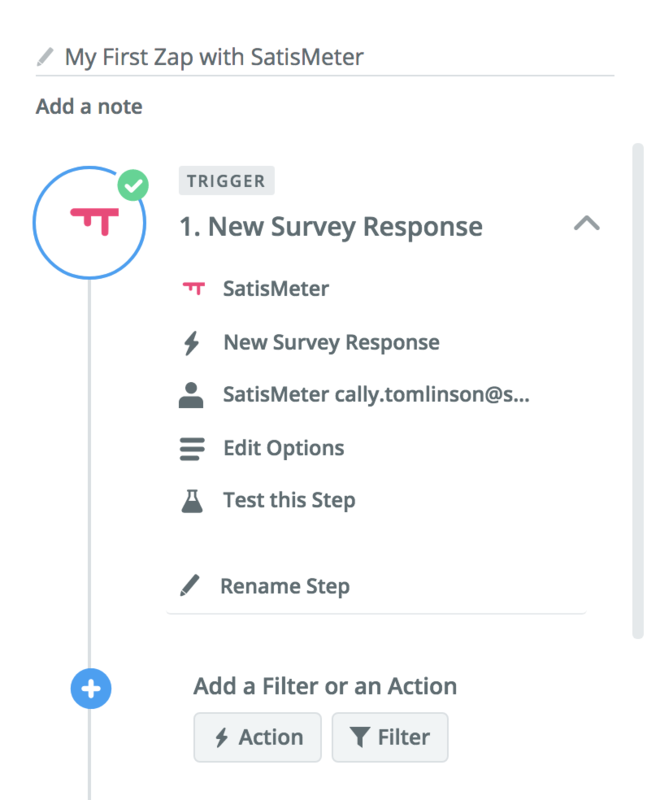 Great, you have successfully integrated SatisMeter into Salesforce. 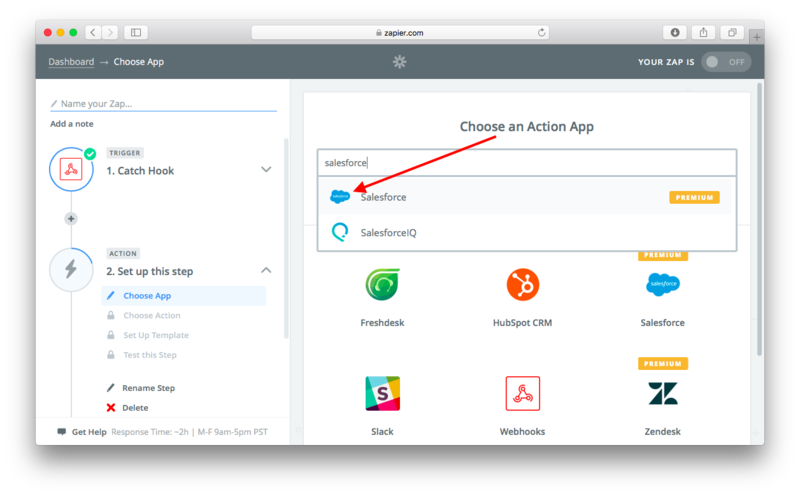 From now on you will get all the responses in Salesforce.